When I first started my career as an engineer doing mechanical building design, from time to time I would get a really tight feeling in my throat. Coincidentally, this tightness in my throat always happened as we were coming down to the wire of getting a job out the door and having to stamp and sign the drawings. It took me longer to realize than you may think to understand that this was my physical manifestation of anxiety and stress. Over the years, the tightness in my throat has occurred from time to time but less in the last couple of years. I believe that taking more control over my destiny, losing weight, continuing to exercise and taking more time to gain perspective has helped above and beyond the excessive eating and drinking I did to cope with my anxiety. When others ask how I am doing I’m honest with them. I let them know I am feeling a bit stressed but that we need to just keep moving – I thank them for asking and let them know ways they can help. Typically when things are stressful in our personal or professional lives there are others around us experiencing the same (but different) stress. As it turns out, you are very rarely the only one experiencing it and others need support from you too. Your role at that point switches to one of coach…to listening and asking questions. I recall during a stressful quarter end a few years ago – that a leader ended up in my office in tears. They had reached a breaking point and just felt there was no support in sight. They had lost all hope and needed a safe place to break down for a few minutes. I did my best to help them find their way – and in the end they were grateful for me just listening. These coaches – need a coach for a few minutes so they can find the courage to go back in and coach their own. The higher we rise on the corporate ladder and the older we get…the ability to self-coach and recognize that we need support too is very important. I am proud that I am staying the course on the lifestyle and balance I have built and maintain. I also believe more than ever that we need to coach the coaches. They need support too. I am lucky that I have found my outlet of exercise…reflection and writing…. as well as key advisers who generously give their time when I need it. I realize that taking time to exercise each week is my way of coaching myself. No denying it- everyone needs it but we often ignore how important this capability of self-coaching is to managing through the tough spots. Denying that we will ever get stressed or won’t need the support isn’t the answer. We need them to know that they don’t have to do it alone and look for signs when they need coaching too. We can give them the tools to manage through as well as the first steps to find their way to self-coaching. When we admit how we are feeling rather than trying to deny it…. I actually think it helps those who ask because they need to know that it is OK to feel that way – just not OK to stay that way. I don’t know about you…but this week has truly felt like the last week of the quarter. We are all pushing hard, working with our partners and the sales teams to do everything we can to finish strong. The buzz on our floor, the level of engagement I can tell we are all feeling it. Although I don’t get a chance to say it a lot – I am proud of what we are doing. I know it doesn’t feel that way sometimes when we are going full out, heads down, trying to make a difference. As a leadership team we are more committed than ever to ensure we are providing ROI for our partners. That our activities are centered around “cause and effect”. I know you are committed too. When we are in “the zone” like we are now – I feel confident that we are making a difference. Question is: How can we create this same feeling starting next week and carry it throughout the quarter? Would love to be closing more business earlier so we are not cutting it so close at the end. Look at your business plans and get a jump start on next quarter. Let’s continue to find a way and make a difference! Who can or should coach the coaches? 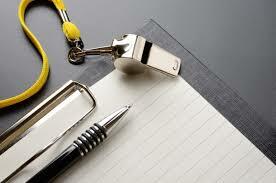 Is it realistic to think that the coaches can only or always self-coach? How does anxiety or stress affect you and what tools have you put in place to cope through it? Should we let on to others when they ask if we are stressed or as leaders are we to just put on a brave face and appear to be more super human than we really are? What else can we be doing to encourage or help those around us handle the stress before they get to the breaking point? LET IT GO WITH EASE!